It is already Day 4 and time for Spin’s Picks. I don’t know about anyone else, but the top half of the draw seems to have more matches that I would love to see, moreso than the bottom half. Early days yet though so anything can happen. is Yanina Wickmayer finally beginning to show us what she is really made of? Below are Spin’s picks for Day 4. I have not see either of these women play since the tournament started but I am going with Beck, if only because of her big win in the previous round. Peer had to battle hard just to get here while Krumm sent Petrova packing with a bagel. Look for Krumm to discombolate Peer here. Battle of the young guns. Stephens dispatched her last opponent with 2 breadsticks. Look for her to continue her great run of form here. The screen up top is what greeted millions of fans of women’s tennis the world over today when Caroline Wozniacki took the court against rising German star Mona Barthel and Serena Williams started her match against Anastasia Pavlychenkova. Fans were eager to see how Wozniacki, who injured her ankle on the first day of play would do against the big hitting German star. Pavlychenkova, even though she was currently in a slump, having only won 3 matches this season, pushed Serena hard at the 2011 US Open, so fans were understandably eager to see how these 2 matches would fare. Unfortunately, there was absolutely no coverage to be found of either of these matches. Prior to today’s debacle, yesterday, Venus Williams, she of the Sjorgen’s Syndrome, who is trying to raise her ranking to compete at this year’s Olympics at her favoured tennis site, Wimbledon, played another up and coming young German in Angelique Kerber. In addition to that match, 2011 US Open champion Sam Stosur was pushed to 3 sets by promising young American Christina McHale. Again, fans the world over were denied access to either of these matches. To compound the situation, I understand from veteran journalist, Matt Cronin that none of the journalists on site in Madrid chose to request an interview with Venus after her loss (but more on that in another post). I started this blog in 2009. Since I began writing, the majority of my posts have been about the fact that the women’s matches at these combined events are usually sidelined in favour of some of the more mediocre men’s matches. It pains me to say this, but there are only 4 men in men’s tennis. The storylines are the same tournament in and out. It gets even worse during clay season as apart from the anomaly that was Novak Djokovic in beating Nadal on clay last season, the story lines have remained the same. There are 9 Masters events, and no one outside of the top 4 have won any of them dating back to Soderling’s win in Paris, Bercy in 2010. Despite this, at every combined event, from here to eternity, the women are constantly pushed into the background or, even when their matches are scheduled for the tv viewing audience, it is early in the morning to empty stadiums. Many fans forget the heady days of the early 2000s when the men’s tour was headed by a No. 1 who decided that the best way to go about the Tour’s business was to sue a body that was virtually his employer. In those days when Venus, Serena, Martina, Lindsay, Jennifer, Justine and Kim ruled women’s tennis, when ratings for the early rounds of the women’s matches were drawing big numbers, the ATP approached the women’s tour to try and ride on the coat-tails. Today, it is the WTA, who while not riding on the coat-tails of the ATP, seem to not understand that they have an audience of millions who are dying to spend money to watch the women of the Tour play. At last year’s Wimbledon, unless you were an ardent fan of women’s tennis, you had no idea who Petra Kvitova was. Commentators were at pains to try and find information about her to relay to viewers. Apart from her semifinal match against Azarenka, Kvitova never made it to ESPN2/NBC’s broadcasts of the early rounds of Wimbledon. Fans knew who she was and of what she is capable. Fast forward to this year’s Australian Open and the commentary that accompanied Azarenka’s her triumph Melbourne Park had more to do with her emotional and injury meltdowns of the past and not with her maturity and the strength of her game and how she commanded the court in her first Grand Slam final. As a result of the negative commentary on women’s tennis, the shrieking, the fist pumping, the so-called WTA Rules as opined by Juan Ignacio Chela (more on that at another time), fans of the women’s game are not being given equal measure. We have been informed that the 4 top men of the ATP met with the organizers of the 4 Grand Slams to discuss prize money increases. They suggested and this was later adopted by all 4 Grand slams that any increase in prize money should be given to the lower ranked players. When Venus Williams met with the All England Club in 2007 she spoke eloquently to them in relation to her case for equal prize money. She would later go on to win the whole thing. I would really love if Venus, Serena, Sharapova and the many other women of the WTA who have millions of fans worldwide and who dominate social media with their presence could find a way to approach Tennis Channel, ESPN, Eurosport and any other media entity to have some form of partnership with the WTA in terms of media coverage for matches. Perhaps, like the ATP, the top women, whose matches already receive lots of media attention, could perhaps allow fans to see lower ranked players or even to have some kind of partnership where fans would pay to see the women at these combined events. Fans of the women’s game are disgruntled. There were many tweets from journalists, coaches and many others complaining about the lack of coverage of the women at this year’s Madrid tournament. As I said on twitter, it makes no sense for the Darren Cahills of this world to tweet their displeasure at the likes of me. Cahill and others are in a position to bring their views to the powers that be. I am sure that he, and many others like him were inundated with tweets from many fans today expressing their displeasure at the fact that only 2 matches for the women were shown. As to Tennis Channel, why I continue to spend money to have this channel is beyond me. On some level it is the only way that I get to watch tennis, especially where I am located. As I subscribe via Dish Network, and as I had to install an extra satellite dish just to get the damned thing, I am stuck like chuck. This blog is predominantly about women’s tennis. It is usually about the lack of respect shown to women’s tennis by the media in terms of how women’s tennis is covered. However, today, I am going to talk about the diversity of women’s tennis. A few weeks ago the WTA took time out to celebrate the commencement of the WTA. Players from all over the world paid their respect to the 9 women who sacrificed their careers and their future in establishing the Women’s Tennis Association by signing a contract for $1.00 and starting what would become one of the most successful and viable franchises in sports history. Since that time, we have seen the growth of women’s tennis on a par with most sports that are more focused on men. Why then does the growth of women’s tennis is not tied to the performance of the athletes but rather tied to how they look. Even worse, why is that it is only a certain demographic of women’s tennis is represented by advertisers. We are constantly being told that Hispanics and African Americans are the biggest growing markets in North America. 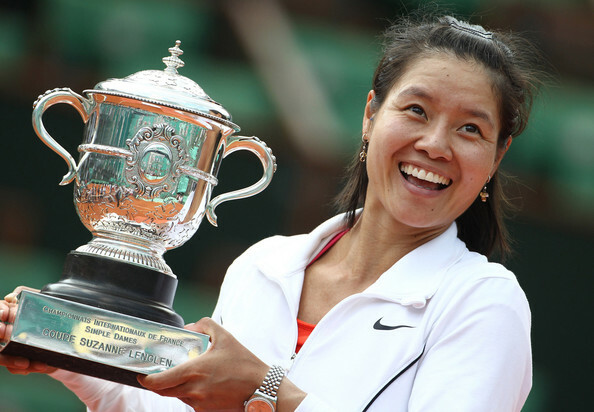 We are told that Asia is the fastest growing region for the sport of tennis. Yet, when we look at the players who are getting the multi-million dollar contract, there is hardly a Na Li or a Serena Williams out there raking in the big bucks. Even worse, a look at the top 100 rankings of women’s tennis and the paucity of minorities who are embracing this sport leaves people like me, who are a minority, and who were drawn to the sport by two of the biggest stars to ever play the game, Venus and Serena, feeling quite disconsolate. I listen and I watch lots of women’s tennis. The feedback I get from commentators is that tennis needs people like Ivanovic, Wozniacki, Sharapova, Clijsters, Azarenka and the list goes on and on, not because they are great players, but because of their looks and personality and what they bring to women’s tennis. In the same breath, the strength of character, the will to fight, the competitiveness and drive of a Serena Williams, the longevity of a Venus Williams, the artistry of a Justine Henin are laid by the wayside. These veterans of the Tour may not have the looks that the Ivanovic’s and Wozniacki’s of the tennis world, but they are 3 of the most accomplished players in this generation of tennis players. What really galls me more than anything else is that the 9 women who were recently celebrated for having the initiative and drive to buck the system are not what we would call celebrated beauties. In their own way they are beautiful women, but would Madison Avenue consider them women who could sell phones or tennis clothes, handbags, shoes etc. I don’t think so. Sania Mirza is one of the few women of ethnic origin who has garnered a great deal of sponsorships based on her looks. 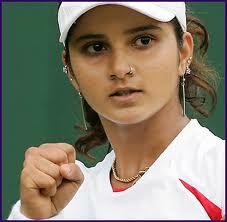 If you have never seen Sania Mirza, here is a picture of her. This is a call for minority women from all over the world to go out there and let your face be seen. Let your racquets start doing the talking. Give us the next Serena and Venus Williams. Let us see the next Na Li. The next Sania Mirza. OK, I know that there are hundreds of tennis blogs around, but this one is going to be very different. 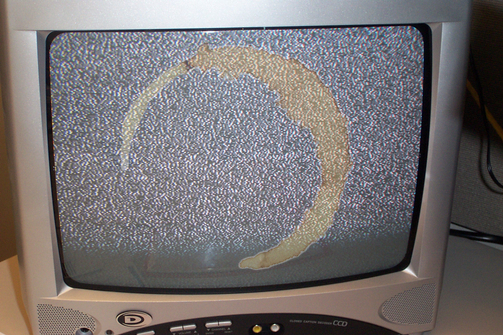 This one is about waking up the powers that be to the fact that there is absolutely no tennis on tv. I am an avid tennis watcher. I play the game. I log on to message boards and post my opinions. I pose questions to question and answer forums and a lot of people know me because of my writing on other people’s blogs. However, one thing that struck me recently was how many fans in the United States and other parts of North America (Canada) as well as those of us in the Caribbean (where I am from) who rely on North American networks for our daily tennis fix, are unable to watch matches. Separate and apart from calling out the powers that be for their lack of coverage, I will be offering suggestions as to how we can get tennis to the fans. First of all, we are now in the season called the USO Series. That is the US Open Series. This is supposed to be a slew of tournaments which starts the North American hardcourt swing and ends at the US Open. The Series starts with a women’ s event at Stanford called the Bank of the West Classic, then went to LA and then onwards to Cincinnatti, then Toronto, New Haven and finally New York. The men’s events started in LA, moved on to Washington, D.C., then to Montreal, Cincinnatti, New Haven and finally ends in New York. Now you would think that with all these tournaments all over North America folks would finally get to see some tennis. That would be too easy. The only tennis we saw were selected matches from the quarter finals onwards of all tournaments played to date. In addition, unless the players were American, or Sharapova, then you never got a chance to see other players. Anyway, for tennis fans, they will watch 2 dogs playing tennis to no tennis at all. Today, 10 August is the start of a Masters Series event for the men in Montreal and a Mandatory event in Cincinnatti for the women. Lo and behold, the only tennis you get to see is via live streams, a phenomenom that I will address later in this post. It is absolutely ridiculous that we have Tennis Channel, ESPN (along with every variation thereof) and we still cannot get tennis on tvs in North America. The Tennis Channel was recently inducted into the Tennis Hall of Fame for its contribution to the growth of tennis. I am not sure that that induction was worthy as recently all we have seen are repeats of Murphy’s Guide and Mika jetting around on Destination Tennis. These days Tennis Channel advertises itself as the Grand Slam network, but the only grand slams you see are Grand Slams from the 70s. Prior to whatever contractual considerations between Tennis Channel and their broadcast partners, the coverage of the Grand Slams was second to none. These days, for those of us who actually have jobs and who look forward to seeing repeats of matches played in the day, you will be out of luck these days, as it would seem that if the match was not shown on Tennis Channel, then they apparently cannot show a repeat. Live Streams – I visit many blogs on the internet. One of the requests that you hear on every single blog devoted to tennis, and this is coming from folks in North America, the Caribbean and many other countries is this “anyone have a link?”. Now I am a Dish Network subscriber in the Caribbean. I installed a second dish just to be able to get 1 single channel, the Tennis Channel. Imagine my dismay now when I hardly get to see any tennis on my HDTV or really enjoy tennis as hardly any tennis is on the tv. Now, I am not about laying blame without making suggestions. Is it possible that CBS, NBC, ESPN and Tennis Channel could come together and have a highlight show during tournament play. Clearly, there is some form of financial consideration which prevents Tennis Channel from providing round the clock coverage of events that are being played. In this time of cut backs, I can understand that. However, what I cannot understand is why is it that there are countries in Europe who are able to see the current Masters Series event in Montreal on their tv, as well as coverage of Cincinnatti and people in the United States are unable to see it. This is after all the USO Series. We are told that every single time that the powers that be decide to show a match. If only we fans could see it then we would not think it is a figment of our imaginations.